Exploring new techniques in agent based modelling. 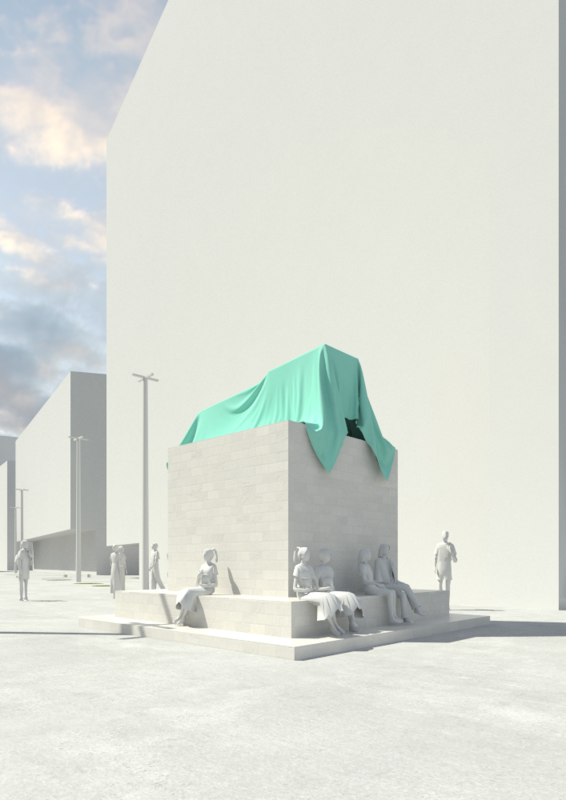 This research project is an interdisciplinary initiative between Monash’s disciplines of Industrial Design and Information Technology. Leveraging recent advances in the sophistication and authenticity of game engine software to replicate real human interactions, this project has developed methods of recreating and observing the dynamics of passenger dispersal on commuter trains. 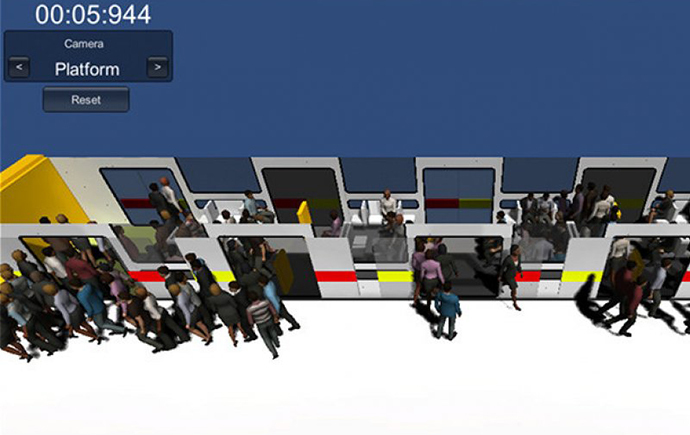 Unlike existing software solutions this work enables 3D fully animated realistic human figures to be simulated in small number passenger exchanges as well as larger crowding situations. Train and platform design and the influence of a variety of impediments can be simulated and their implications upon passenger movement understood. This initial pilot project investigated the implications of a conceptual train interior and door locations to determine improvements on boarding and alighting behaviour to mitigate extended dwell times. The simulation can be displayed in large screen formats and from a variety of camera positions. Placing the observer both inside the carriage as well as externally above. This enables realistic impressions to be made and informed design decisions to be made. Future work includes the impact of groups amongst passengers and an investigation into the influence of weather conditions on passenger dispersal and the loading of particular train doors.